يقع في Manly, مانلي بيتشسايد أبارتمنتس إنه المكان الأنسب لاكتشاف سيدني و ما يحيطها. يجذب هذا الفندق ذو 2 نجوم، والذي يبعد 15 km فقط عن وسط المدينة و 25 km عن المطار، الكثير من الزوار سنوياً. بالنسبة لمن يريد الخروج، هذه بعض المعالم السياحية المتوفرة للزوار مانلي اكويرم, دايف سنتر مانلي, مانلي. استمتع بالخدمات الراقية والضيافة التي لا مثيل لها بهذا الفندق في سيدني. يمكن الاستمتاع بمجموعة من الخدمات على أعلى المستويات في الفندق كمثل خدمة التنظيف يوميًا, تخزين الأمتعة, صف السيارات, خدمة غسيل الملابس, مكان مخصص للتدخين. تنعكس أجواء مانلي بيتشسايد أبارتمنتس في غرف الضيوف.تلفزيون بشاشة مسطحة, اتصال لاسلكي بشبكة الإنترنت (مجاني), غرف لغير المدخنين, مروحة, تلفزيون هي بعض الميزات الموجود في العديد من الغرف. كما أن مجموعة الخدمات الواسعة الموجودة في الفندق لضمان راحتك تترك لك الكثير من الخيارات لقضاء وقتك أثناء فترة إقامتك. استمتع بخدمات لا يعلى عليها وعنوان ذو اعتبار في مانلي بيتشسايد أبارتمنتس . تقع جميع غرف النزلاء في الطابق الأول. يقتصر الوصول للغرف داخل مكان الإقامة على الدرج فقط. مواقف السيارات في الموقع محدودة. ويجب الحجز مسبقًا. تتوفر مواقف للسيارات في الموقع مقابل رسم إضافي بقيمة 15 دولارًا أستراليًا في الليلة الواحدة أو 40 دولارًا أستراليًا في الأسبوع. يفتح مكتب الاستقبال من الساعة 02:00 مساءً إلى 05:00 مساءً من الإثنين إلى السبت. يجب على النزلاء الذين سيصلون في وقتٍ آخر غير الأوقات المذكورة أن يتصلوا بالعقار مباشرةً قبيل وصولهم؛ وذلك حتى يمكن إجراء ترتيبات بديلة. The location is good. That about it. Bathroom door does not shut properly. Unable to use toaster due the extra sensitive fire alarm. I had take cold shower due to the same reason. Near beach and shops. Lots of steps to reach rooms. Should have gotten a refund for the last night wasn’t happy at all ! The property itself wasn’t too bad although we had rooms at the front of the building and the noise from the traffic below was pretty bad. The worse thing about our stay was the lack of parking. Having to move our vehicle every two hours was just ridiculous. While the place serviced our needs, the room was nothing special. The thing that put me off the most was that the floor had about a 5 degree slop on it which meant that we had to rotate the bed around about 90 degrees so that it didn't feel like we were sleeping on a downhill slop. Room was very clean; bathroom was nothing special but was clean. Tidy, presentable room. Great staff, very helpful. Rooms not clean, reception only manned 2pm-5pm. Thanks for your review. Our reception is manned from 2pm - 5pm that is correct, however we do have a night manager who is on hand outside of those time and always happy to help. We have a great team of cleaners, i'm sorry to hear you were disappointed. We do regularly check the standard and always welcome feedback. Staircase is a killer. No lift. This place is nothing like the website when booked. Too many issues to write down here.. long story short. Stay somewhere else.. filthy smelly and honestly this place should be reported to the health department. Somewhat ruined my partner and I little weekend getaway. Wouldn't recommend i summer as there was no aircon. Showers were very average. This was a last minute booking for us by someone else, and we would have done better to pay more attention to other reviews before confirming. First things first, if you want to be near the beach at Manly this place is well located as it's only one street back (but see my comment below about the road). Now for the rest: it's apparently managed by the Backpacker Hostel round the corner, and the backpacker mentality is apparent in the way it's managed and fitted out. On arrival you have to leave a $30 deposit for the keys, fair enough, but instead of taking an imprint of your credit card and then cancelling it (like 99% of other places do) they actually deduct the money and then refund it afterwards. If you're from overseas this means you pay two bank transactions, each with fees. When we pointed this out we were told "I don't know the difference [between cancelling and refunding]". Well I'm afraid in this line of work you should know the difference! There are then about 35 steps to get to the apartments (no lift), which can be difficult with heavy/voluminous luggage. 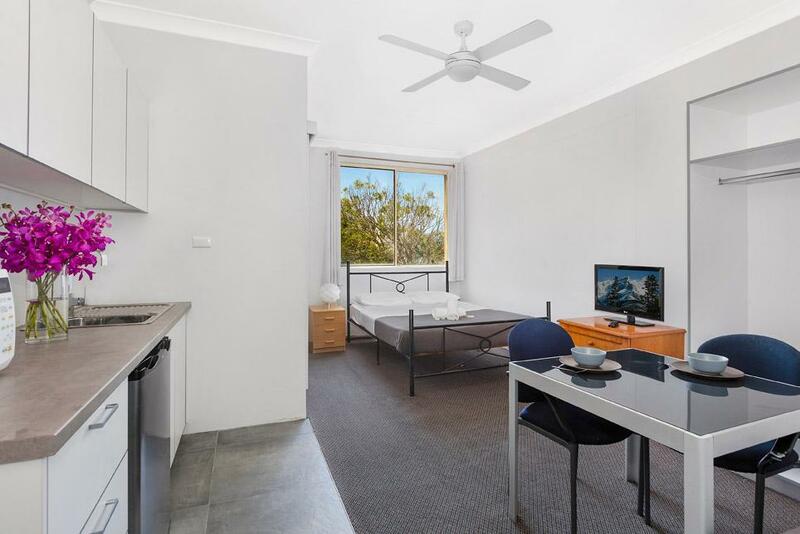 The kitchen is decorated with signs telling you you'll have to pay a $2000 fire brigade call out fee if you burn the toast (see what I mean about backpacker mentality?). The room we were in faced out onto the main road, as there is no double glazing or sound insulation of any sort it was very noisy, especially in the morning. The bathroom door was on a noisy sliding runner, impossible to go to the toilet in the middle of the night without waking your partner. Wifi was not free (seriously in this day and age? ); it was the only place we stayed in during a month's travels in Australia where we would have had to pay, however at the backpacker hostel round the corner they at least had 30 minutes free (according to the sign plastered on the front of that building). If you're looking for accommodation that's only one step up from a hostel this is for you, otherwise avoid. 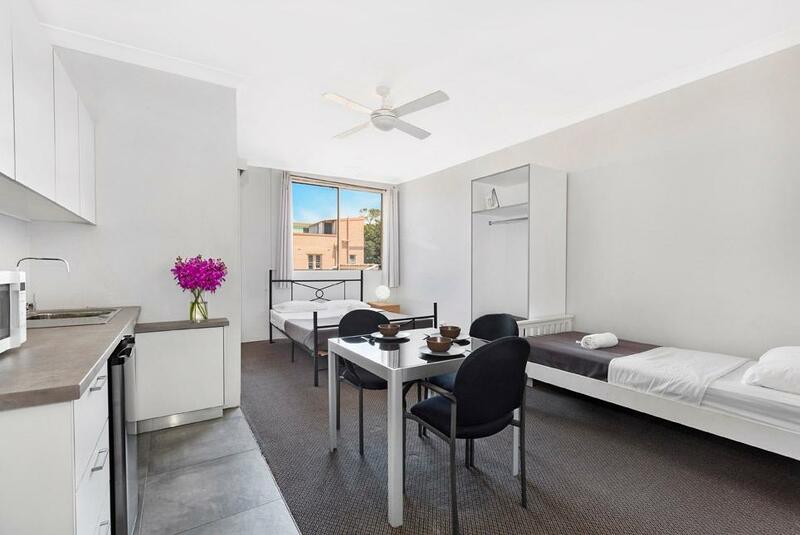 Okay so this is not the Hilton, but you would be hard pushed to find better accommodation in Sydney at this price. The staff are great. The bed is comfortable and extra pillows were provided upon request. Nice hot shower. 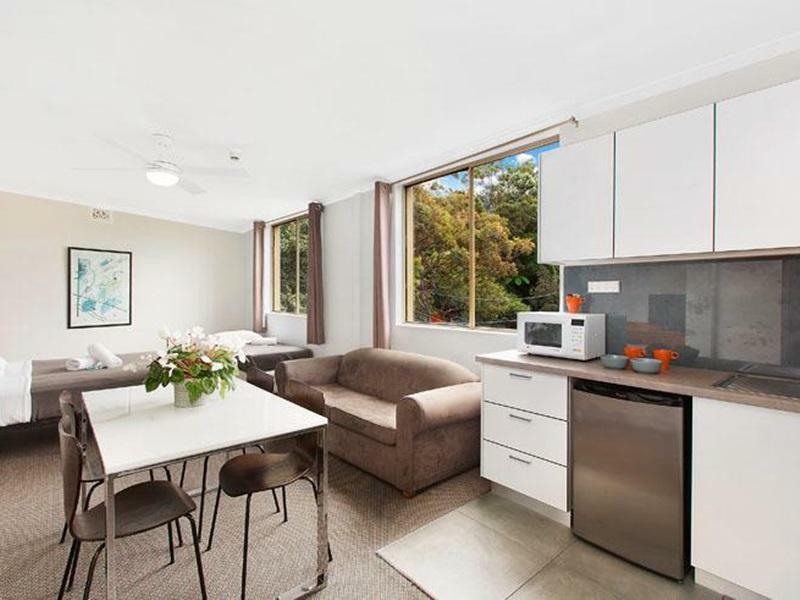 Just a few minutes walk to the shops, beach and ferry. We have stayed here quite a few times and it suits us just fine. Pictures on Agoda do not reflect the rooms at all and is deceiving. The entry and foyer were very poor and carpet a disgrace. Yes the price is low for the location however the state of the rooms is unacceptable. Room was cockroach infested, bed rusty, wifi so slow it was almost unusable. We were advised by local cals that for the same money you could stay in a great bed and breakfast.